Weave is a new, vibrant and colourful festival celebrating arts, activism and design in Paisley. Renowned names in Scotland’s literary scene are getting ready to make an appearance at Paisley’s first Weave festival this weekend. Award-winning novelist, playwright and performer Alan Bissett and author and journalist Kirstin Innes will showcase their work at the three day arts festival which is set to take over Paisley town centre from Friday 30 June to Sunday 2 July. This marks the first time the Weave festival has taken place in the town serving as a wraparound cultural programme to Paisley’s annual Sma’ Shot Day celebrations - one of the world’s oldest workers festivals. Kirsty and Alan will be unveiling two new poems at the Sma’ Shot Poetry Slam taking place at Paisley Town Hall on Saturday from 7pm – 10pm. Weave is inspired by the town’s globally-significant heritage of weaving and radical politics and is taking place as part of the push towards Paisley’s bid to be UK City of Culture 2021. The weekend festival is also a signature event in Scotland’s 2017 Year of Heritage, History and Archaeology celebrations. 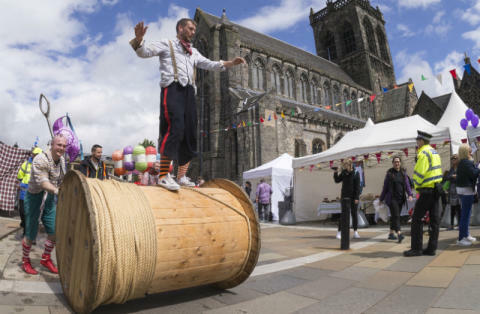 The event will reconnect the town’s weaving heritage and global connections via a programme boasting almost 40 shows across six venues and four outdoor live zones in Paisley’s historic town centre. - Scottish Alternative Music Awards (SAMAs) in collaboration with L’n’P Promotions and Sma’ Shot Weave Festival are hosting an evening of live music featuring; Rachel Sermanni (full band), The Great Albatross and Mark McGowan. The weekend will also include all the traditional Sma’ Shot Day elements on the Saturday, including a parade through the town led by outdoor arts specialists Walk the Plank along with a diverse range of community groups and artists, historic re-enactments by local youth theatre group PACE, and a pyrotechnic Burning of the Cork show on Bridge Street opposite the Paisley Abbey. Alan Bissett said: “I'm really looking forward to taking part in the Weave Festival. As a fairly recent inhabitant of Renfrewshire, I've become fascinated by the history of Paisley and the surrounding area, which has found its way into the new poem I've written for the festival about the legacy of the textiles industry. “Paisley is clearly a place bursting with creative voices - some found on the page, some found holding court on bar-stools - and I've tried to tap into that. The Slam Poetry night is going to be exciting too, as the energy of the town takes its place as part of Scotland's vibrant spoken word scene. Gonnay be a cracker." Paisley 2021 Bid Director Jean Cameron said: “Sma’ Shot is always a unique day, attracting visitors and showing off the town as a fantastic venue, with events taking place in our streets, parks and heritage buildings but with the introduction of Weave the cultural offering will be even more ambitious and bigger than ever before. “Paisley’s bid to be UK City of Culture 2021 is all about creating showcases for our brilliant local talent and presenting that alongside the best artists from Scotland, the UK and around the world. 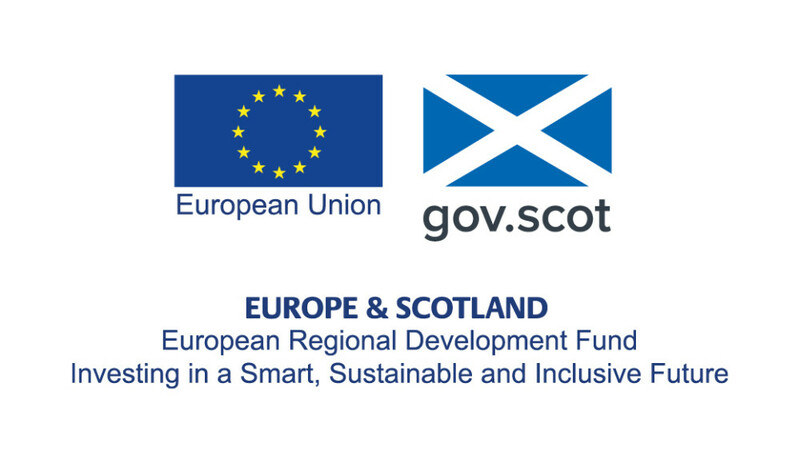 In particular, it's great to have artists like Kirsty Innes and Alan Bissett involved for the first time who call Renfrewshire home but enjoy recognition nationally and further afield." Sma’ Shot Day marks the victory of Paisley’s weavers in an industrial dispute over payment for the Sma’ (small) Shot thread, which was unseen but held the famous Paisley-patterned cashmere shawls together.